My friend Rachel suggested this challenge for Challenge 52. I’ve already made two other of Rachel’s suggestions in Challenge No. 20 (Gammon) and Challenge No. 11 (Chocolate Ganache & Cherry Tart). 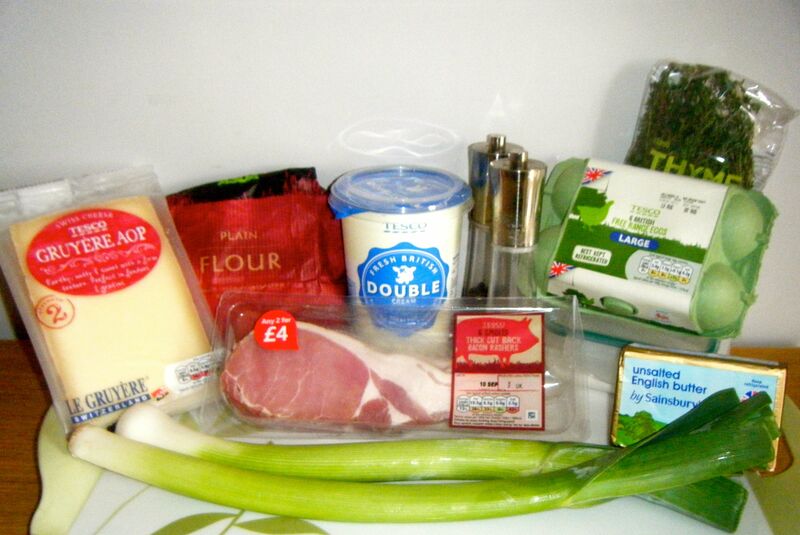 Rachel decided to challenge me to another pastry dish but this time a savoury leek and gruyere quiche. *I know! I know! 1/2 an egg yolk is not easy but that’s what half the recipe meant. All I did was put my yolk in a small jug and then used a teaspoon to take out approximately half. 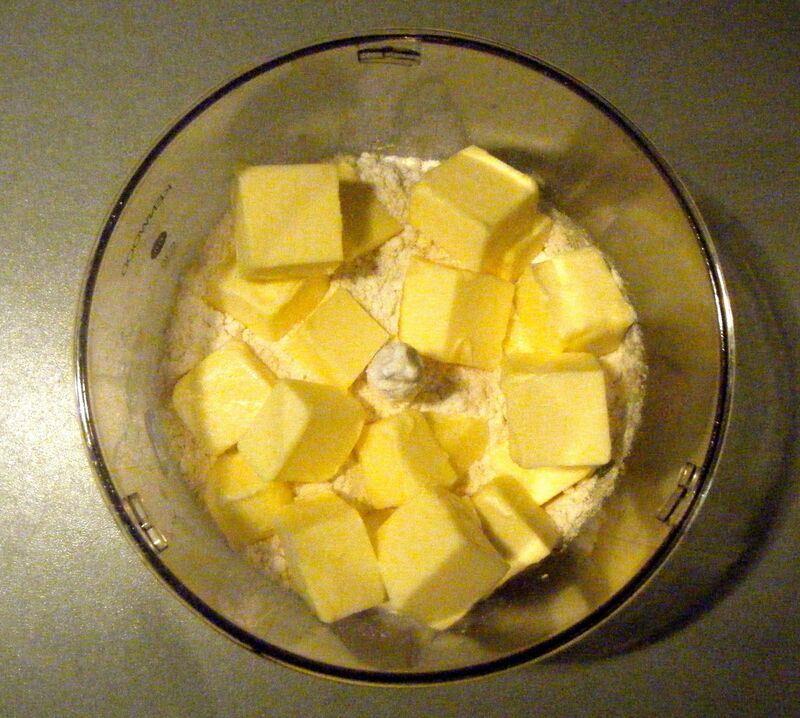 I started by putting my flour, salt and chilled butter into my food processor. 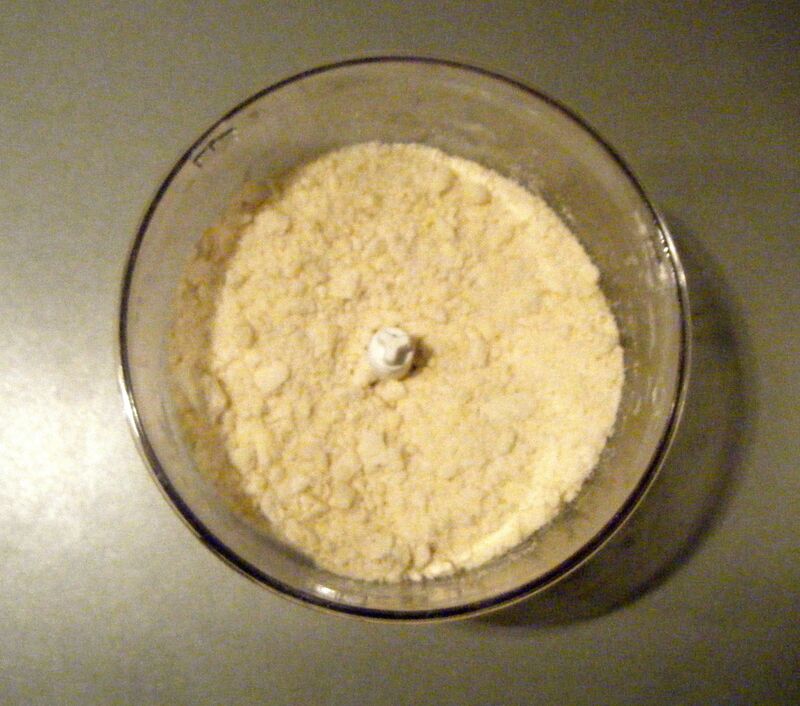 I blitzed it together until it resembled breadcrumbs. I then added the egg yolk and water and pulsed until the mixture started to come together. It was then time to get my hands dirty. 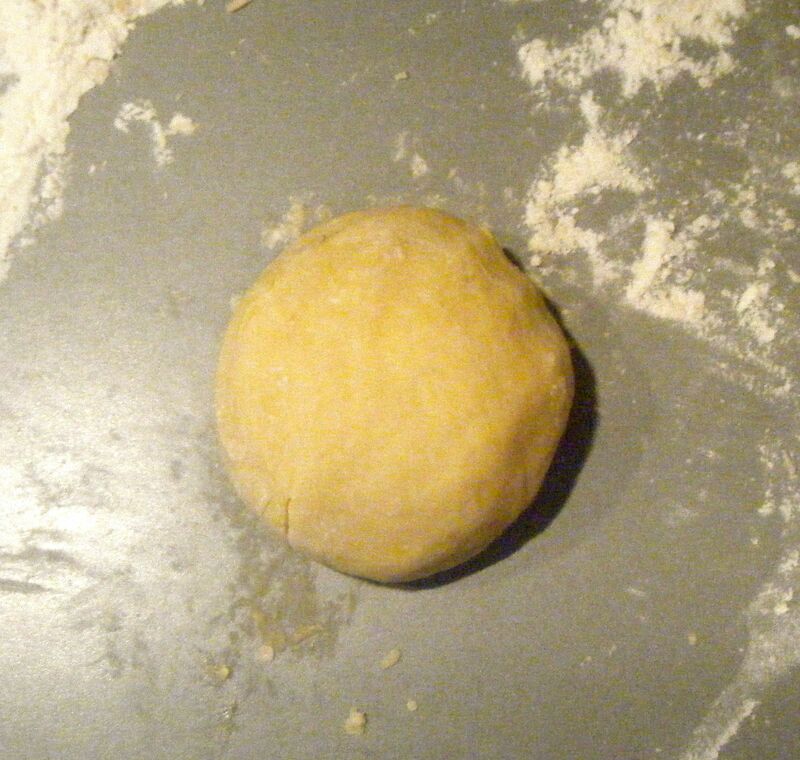 I floured my worktop and tipped the dough out to work together with my hands. 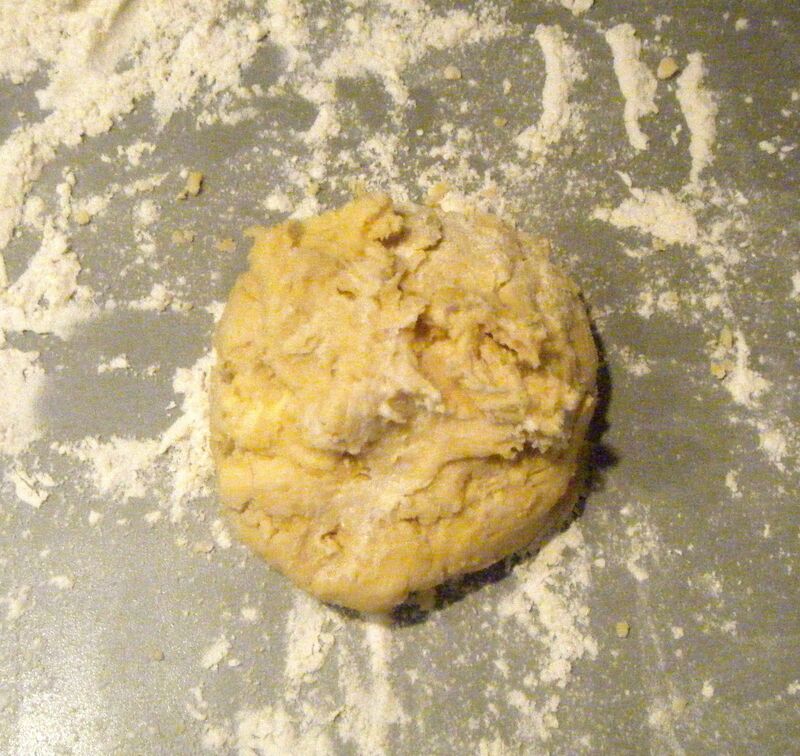 I kneaded it together until smooth, shaped it into a disk and then wrapped it in cling film to chill in the fridge for 20 minutes. I realised after 10 minutes that my fridge wasn’t particularly cold so I turned it down slightly and given that it was a hot evening, I decided to leave the pastry dough for a total of 30 minutes. 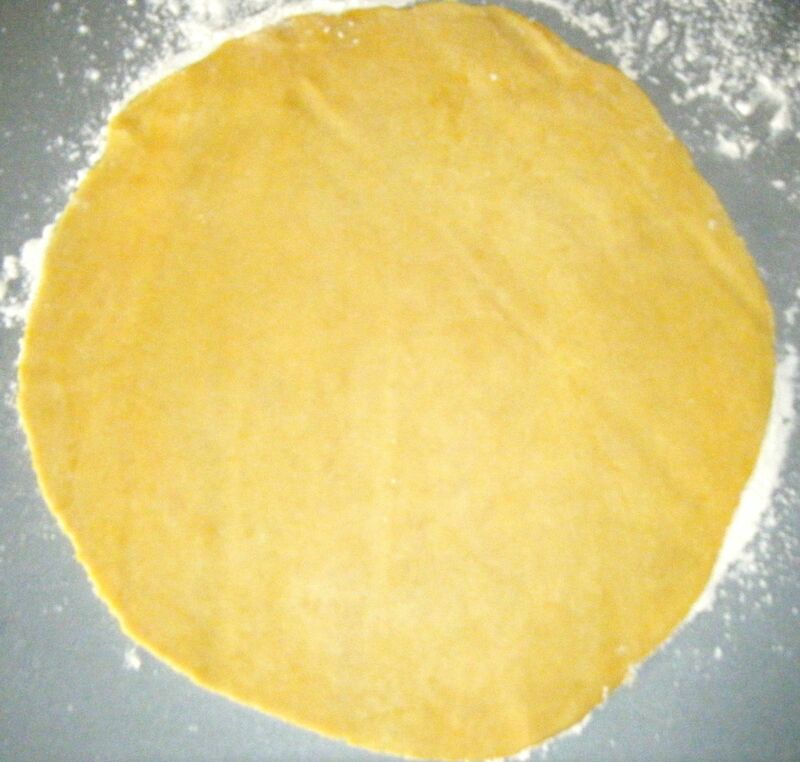 After the 30 minutes were up, I floured my worktop again, floured my rolling pin and started rolling the dough until it was slightly bigger than the base of my tin. I greased the tin with a little butter and carefully lifted the pastry in. Now when I made the ganache tart, my research indicated that the tin should be greased. 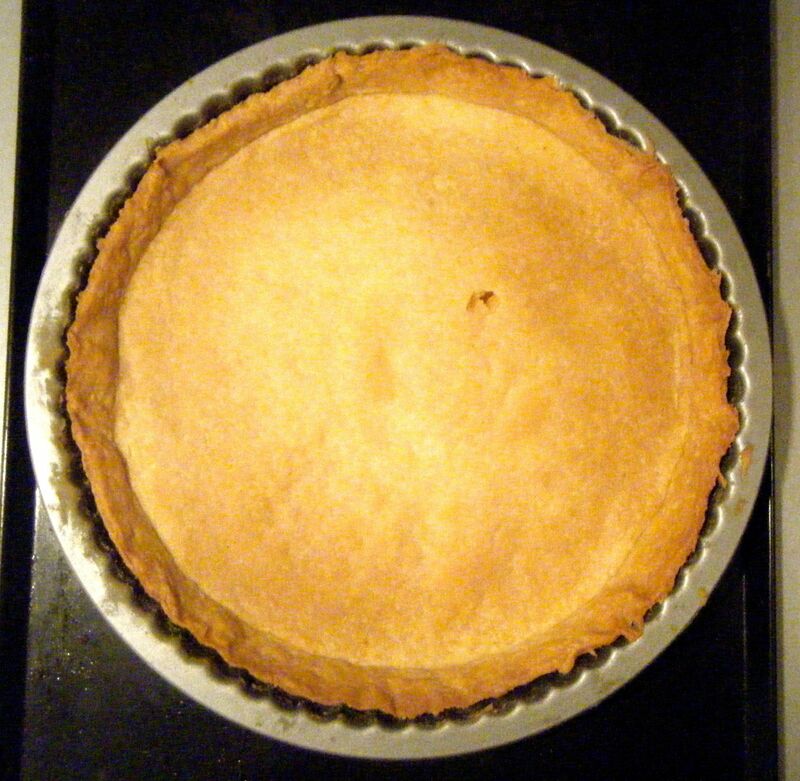 However, when I finished with this bake, I thought the base was a bit soft and I wondered if this was because of the extra butter used to grease the tin (as well as a bit of overspill on the filling!). 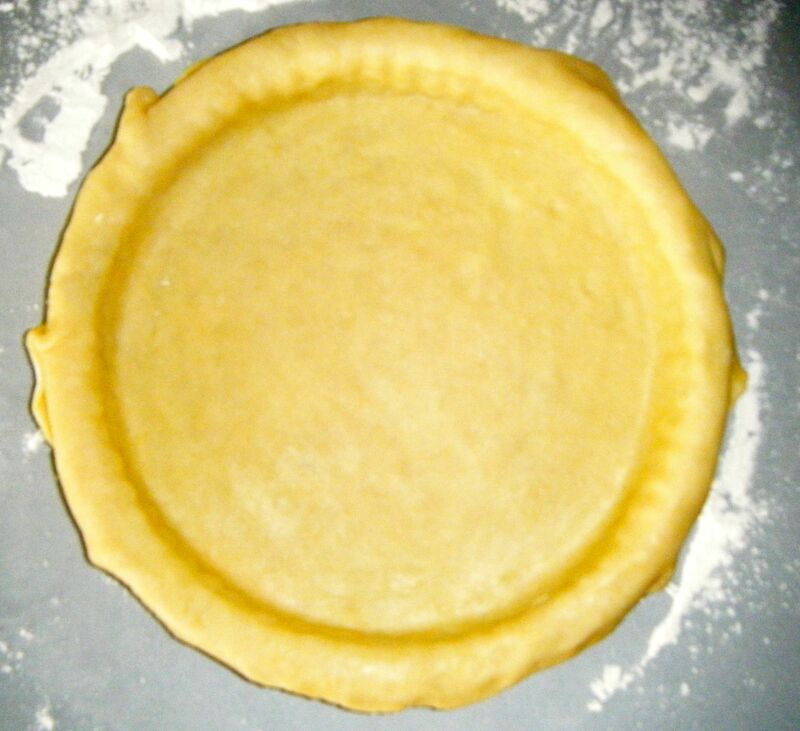 I’ve done a bit more research and its indicated that when using a shortcrust, you don’t need to grease the tin as there is enough butter in the pastry itself. Next time, I’ll give this a try and see what happens. Anyway, with my pastry in the tin, I trimmed and neatened up the edges. 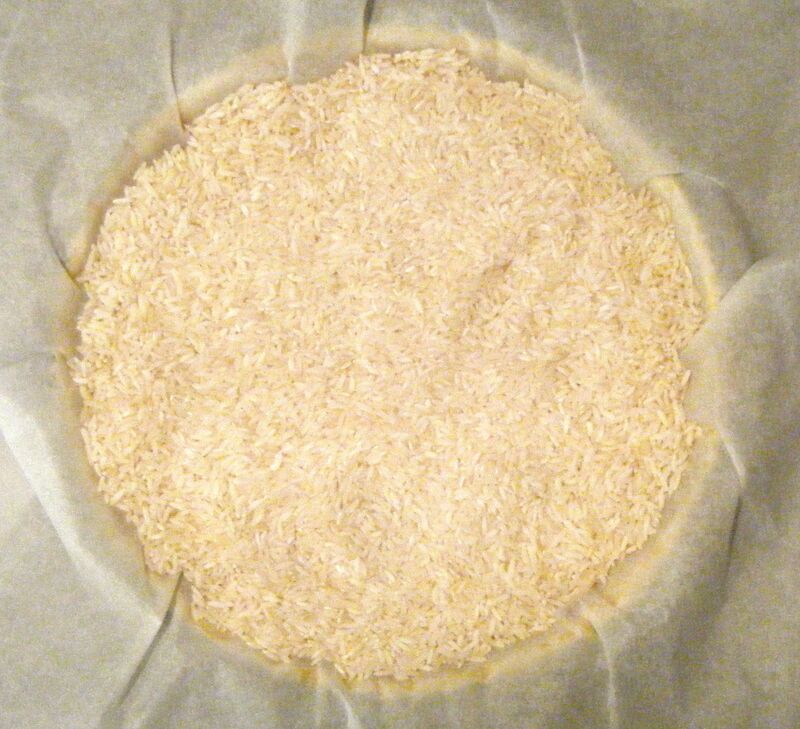 I then set about putting in my baking rice (I don’t have beads so just use rice which I keep in a separate bit of tupperware in my baking cupboard). The recipe says to line the pastry with foil, however, I remember watching a Celebrity Great British Bake Off where one of the contestants used foil and it stuck to the pastry. So to avoid a potential disaster, I stuck to what I knew and used baking paper. I then popped the tin into the oven on 190 degrees celsius for 30 minutes. When the timer went off, I removed the rice and baking paper and popped the tin back in the oven for another 15 minutes. 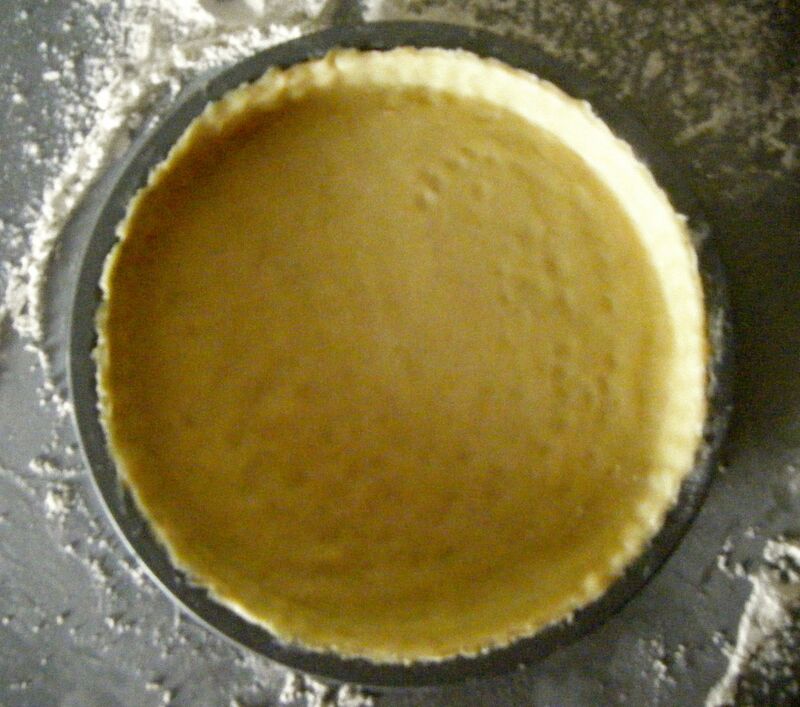 Whilst the pastry was finishing up in the oven, I got started on the filling. 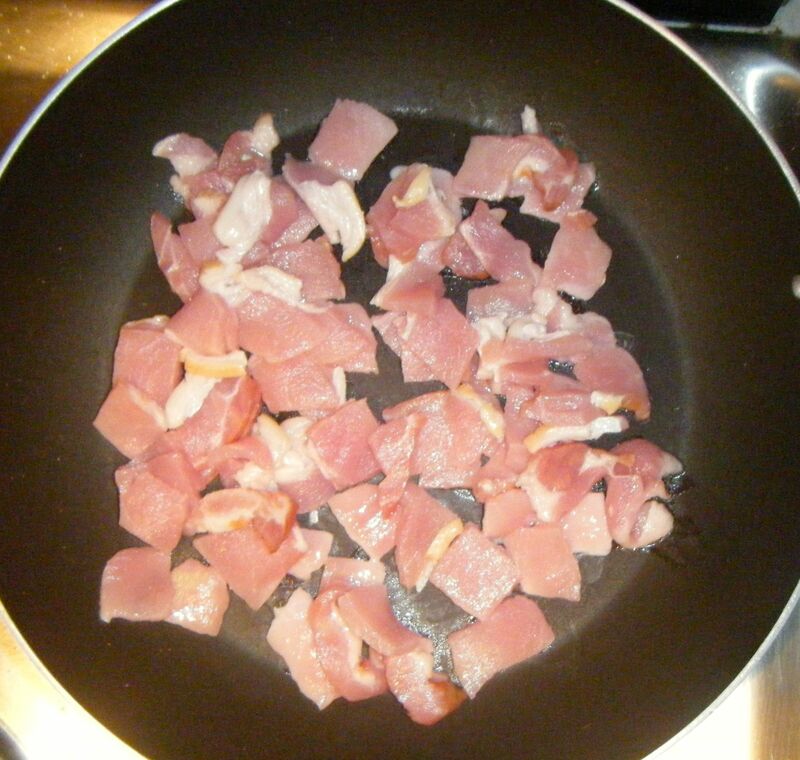 I heated up my frying pan and then added the bacon slices to cook over a medium heat. I kept string until they were cooked through. Now this next bit, I deviated from the recipe slightly! It wasn’t on purpose, I just misread it. The recipe said to “drain the bacon, leaving 1 tablespoon of the fat in the pan”. I read this to mean, drain off the fat, leaving the bacon and 1 tablespoon of fat in the pan. What it actually meant was to take the bacon out of of the pan. Anyway, I’d added my leek and thyme to the bacon, seasoned it with salt and pepper and let it cook for around 5 minutes until softened. 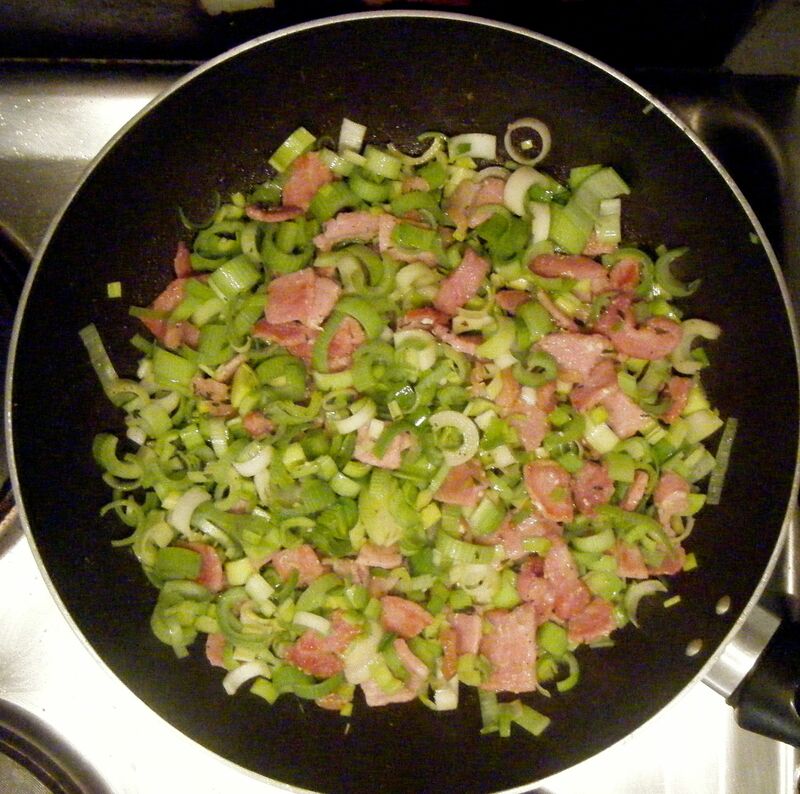 Once it was cooked, I popped the leek and bacon mixture into a bowl to cool. When the pastry was cooked, I put the tin onto a baking tray and left everything to cool whilst I made mine and Dave’s dinner. I then poured the cream into a jug, added the eggs and egg white before whisking with a balloon whisk. I didn’t really know what I was doing here so I just whisked it until everything was well combined. I transferred the mixture into a jug and carefully poured it over the quiche filling. Practial tip: don’t overfill the pastry case. If the mixture spills over the edge, you’ll end up with a soggy bottom. So, in light of the tip above, at this point, I kept repeating to myself “don’t overfill it! don’t overfill it!” and what did I do? Yep, I overfilled it 😦 I actually only used half of the cream and egg mixture too! Anyway, I popped the (overfilled) quiche into the oven on 190 degrees celsius for 30 minutes to cook through. 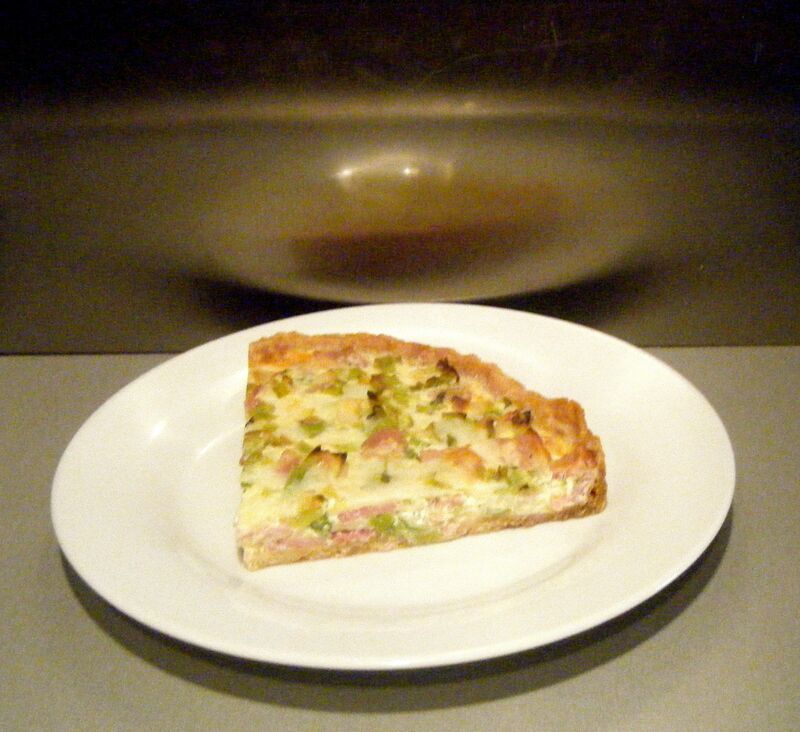 I took the quiche out of the oven and popped it onto a cooking rack for 15 minutes. 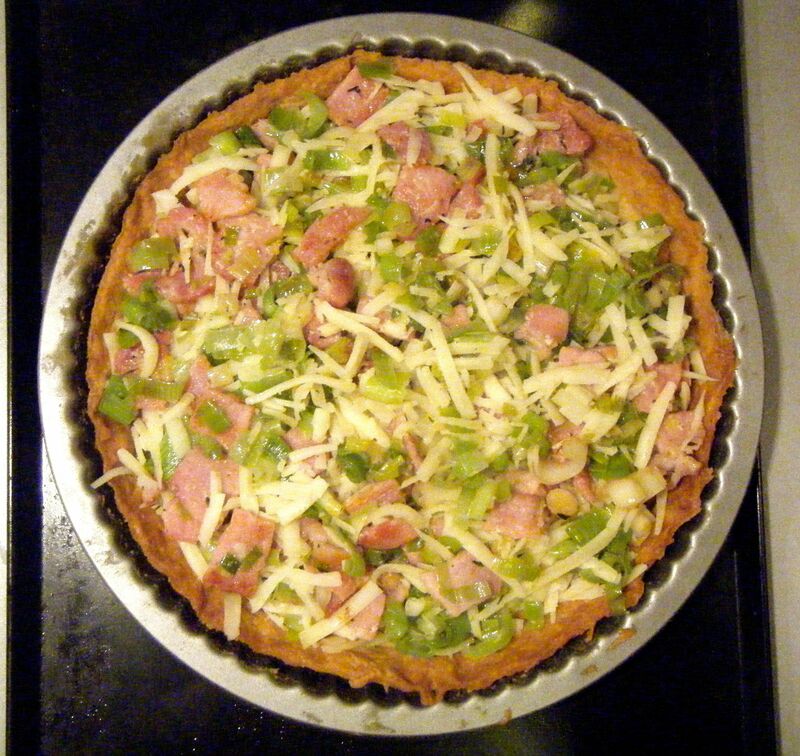 I then removed the ring, leaving the quiche on the base of the tin. I wasn’t sure whether I should remove the base as well but because the filling had spilled over, I thought it best to leave the quiche on a sturdy base. 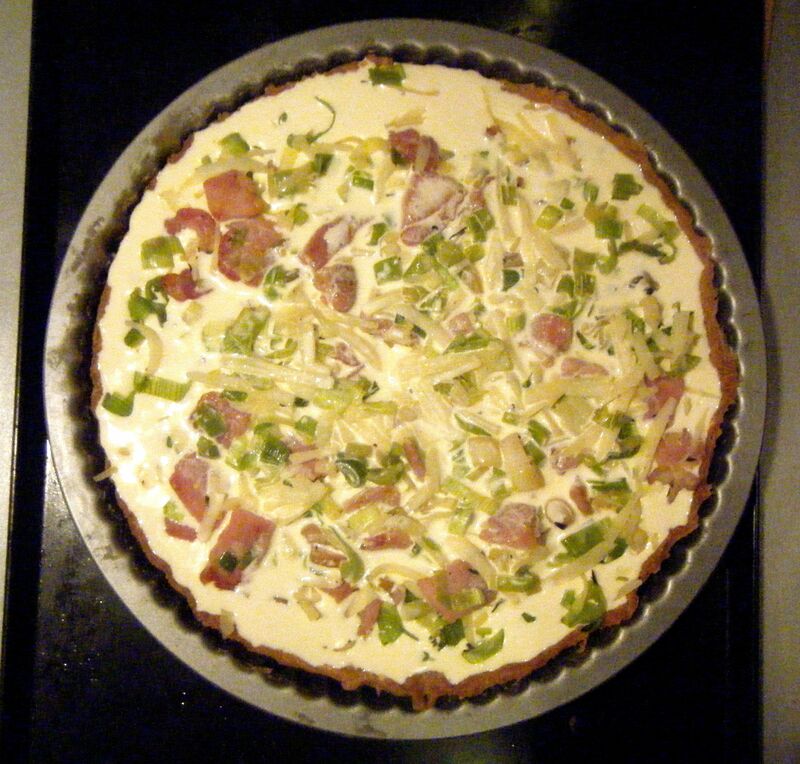 Once cooled enough, I popped the quiche in the fridge overnight before chopping it up to take to work the next day. 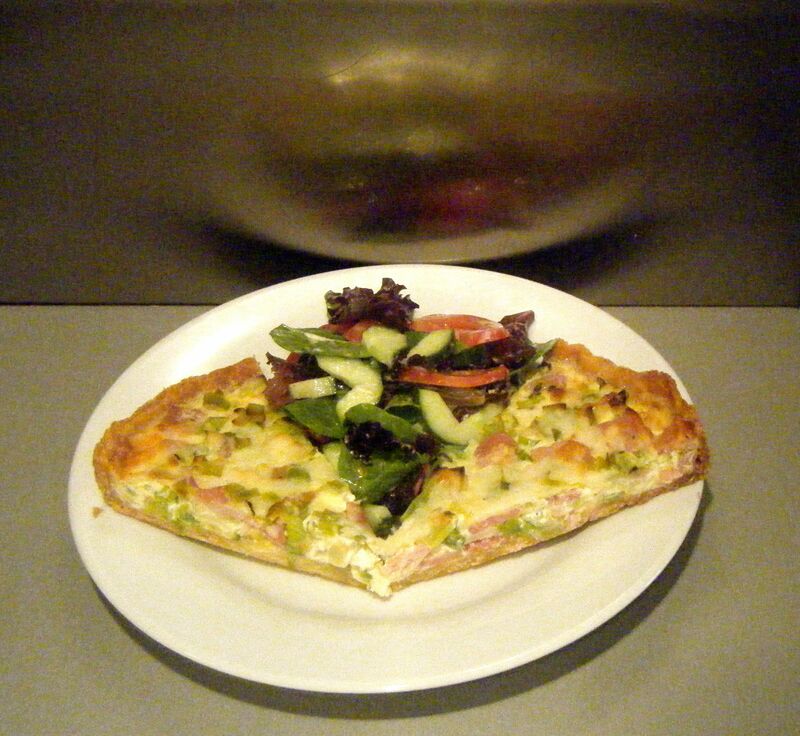 Everyone said the quiche was very nice. Despite my warnings of the notorious soggy bottom (Mary Berry would not have been happy), they all said it was good and that the bottom wasn’t that soggy. One person even described it as crisp! I have to admit the base wasn’t as soggy as I thought it would be but there was clear room for improvement, in my mind at least. Although, perhaps I am my own worst critic. Despite the questionable base, I have to admit this quiche was yummy! I definitely want to make it again and see if I can perfect the base and filling ratios. Coming up next week, Challenge No. 33 – custard slices. 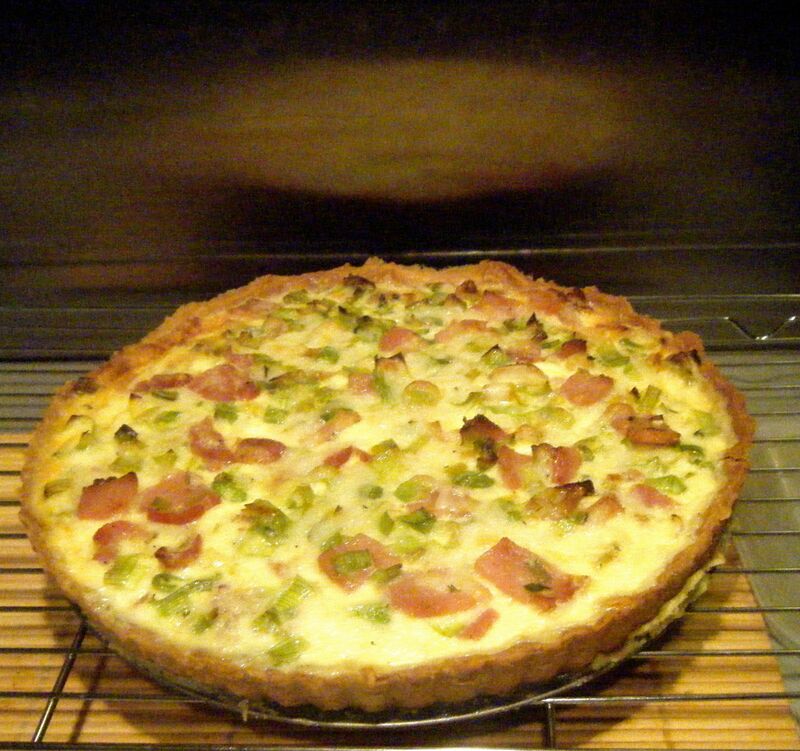 This entry was posted in Challenge 52 and tagged Bac, Baking, Challenge52, Cheese, Cream, Eggs, Food, Summer by MyGastroAdventure. Bookmark the permalink.